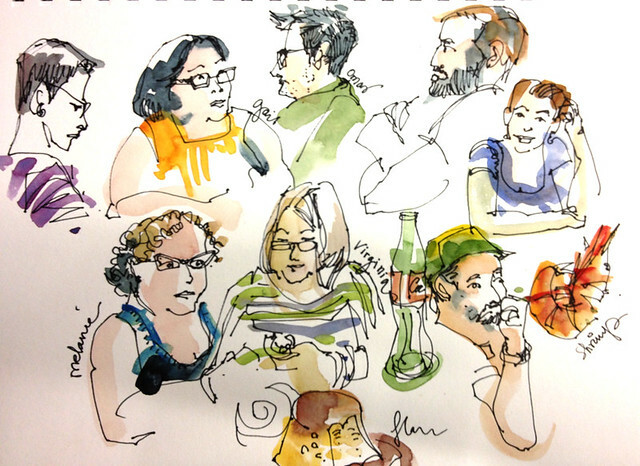 The Symposium only opens tomorrow, July 11th, but the city is already teeming with sketchers. 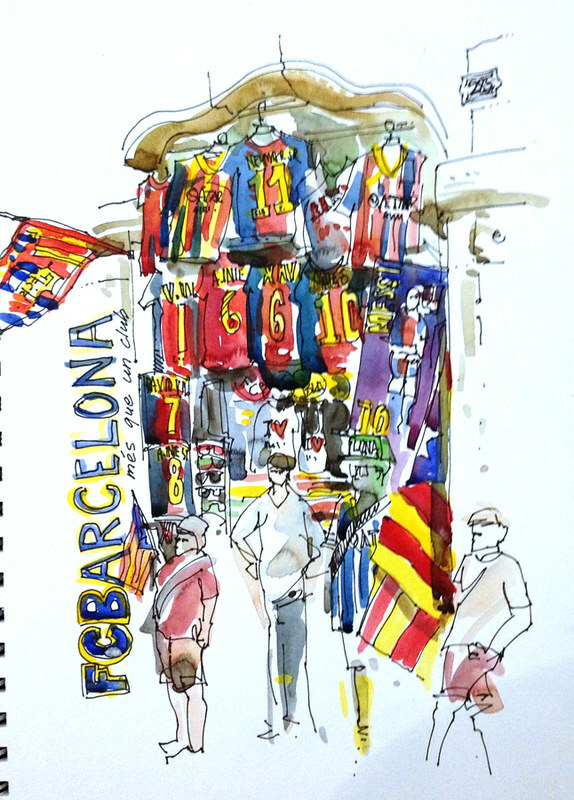 It's exciting enough to be in Barcelona, but to be in Barcelona AND meet sketchers everywhere you look is wonderful. 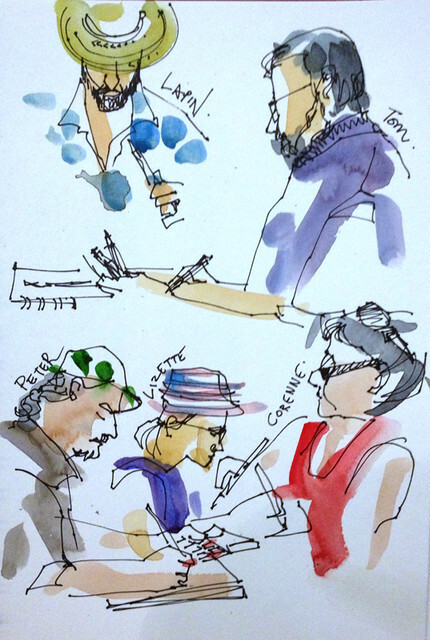 I came in late and missed part 1 of the 3 park sketchcrawl this morning, but still caught the rest of it. 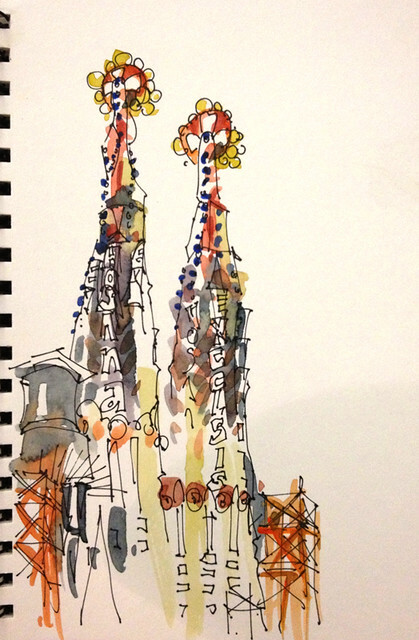 Jumping right into drawing La Sagrada Familia as my first sketch in Barcelona was hard. That might be when I drew so many of them.. just have to keep at it till you get it right! 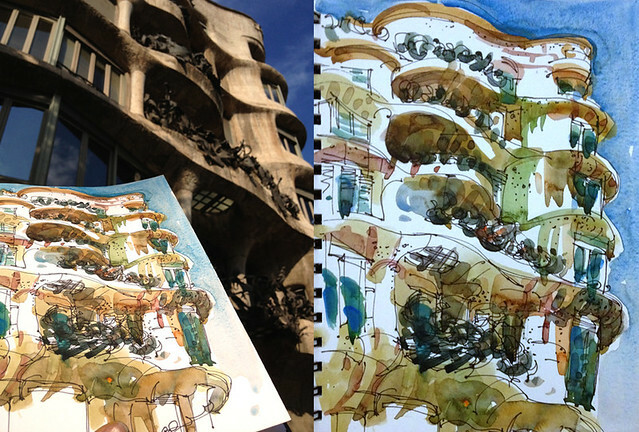 Walking down some more, we sketched the La Pedrera building, one of the most gooey buildings I have ever seen. 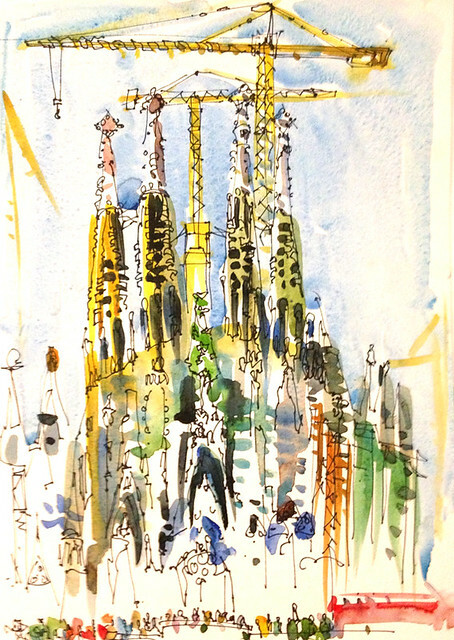 And, inspired by Lapin, I've been sketching Urban Sketchers everywhere I can. 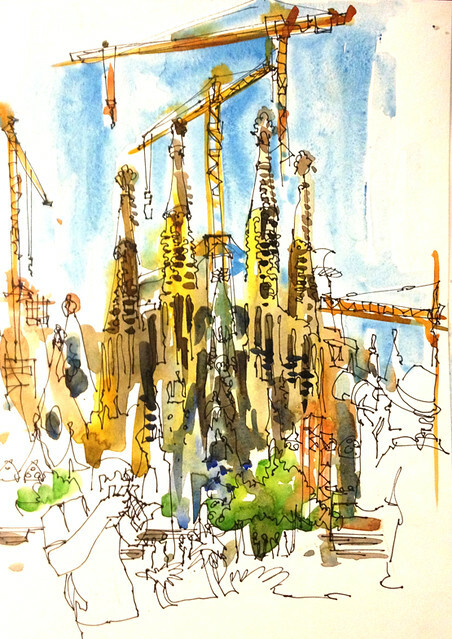 Follow us as we sketch our way through the rest of this week, and remember, you can see ALL the Barcelona sketches here on flickr. 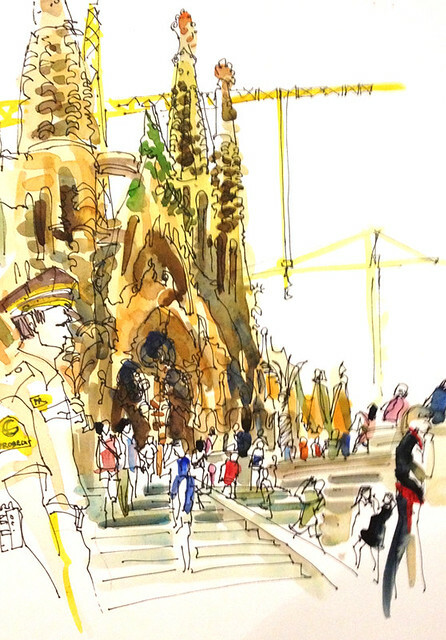 Amazing Barcelona seen from your eyes. The colors are vibrant!